Build your own custom B+Tree based on-disk dictionaries, lookup tables and indexes in Python. mxBeeBase™ is a high performance construction kit for disk based indexed databases. It offers components which you can plug together to easily build your own custom mid-sized databases. The two basic building blocks in mxBeeBase are storage and index. Storage is implemented as variable record length data storage with integrated data protection features, automatic data recovery and locking for multi process access. Indexes use a high performance optimized B+Tree implementation built on top of Thomas Niemann's Cookbook B+Tree implementation. mxBeeBase comes with two readily useable on-disk dictionary implementations: BeeDict and BeeStringDict. Provides all the tools necessary to build custom indexes and data storages. mxBeeBase is written in a very portable way and works on pretty much all platforms where you can compile Python. 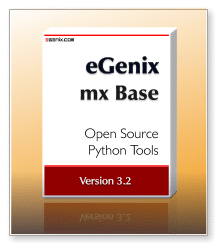 mxBeeBase is provided as part of the eGenix.com mx Base Distribution. Please see the mx Base Distribution page for details regarding the license. Part of the B-Tree implementation used in mxBeeBase was adapted from Thomas Niemann's Cookbook B+Tree implementation. The original files were extracted from btr.c -- an ANSI C implementation included in the source code distribution of SORTING AND SEARCHING ALGORITHMS: A COOKBOOK by THOMAS NIEMANN Portland, Oregon; http://epaperpress.com/. "Permission to reproduce this document, in whole or in part, is given provided the original web site listed below is referenced, and no additional restrictions apply. Source code, when part of a software project, may be used freely without reference to the author." The PDF file is also available as part of the installation and can be found in the mx/BeeBase/Doc/ folder. SORTING AND SEARCHING ALGORITHMS: A COOKBOOK by THOMAS NIEMANN Portland, Oregon ( http://epaperpress.com/) discusses the B-Tree implementation used in mxBeeBase. It's an excellent source of information on sorting and searching algorithms in general. mxBeeBase is provided as part of the eGenix.com mx Base Distribution. Please see the mx Base Distribution page for downloads and installation instructions. eGenix.com uses mxBeeBase for several in-house applications on daily basis. It was also used in the eGenix.com Application Server.